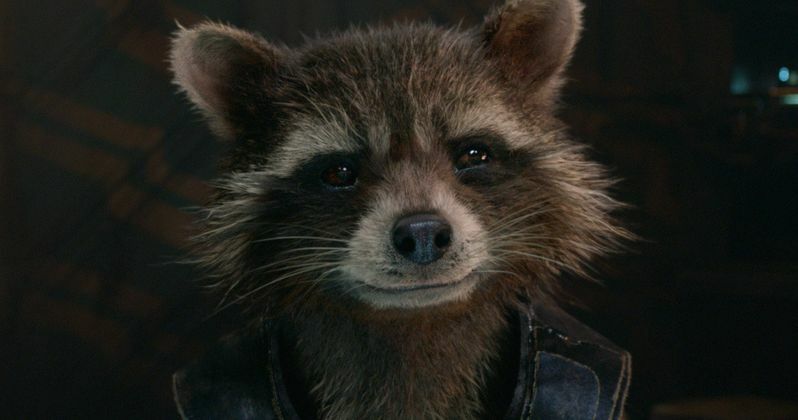 Marvel Studios has released one final clip for Guardians of the Galaxy, teasing some of the interstellar action that fans will get to see before it hits theaters for sneak preview and midnight screenings later tonight. Finding themselves outgunned and outmanned by the Sakarrans Soldiers, Star-Lord (Chris Pratt) and Rocket (Bradley Cooper) use their indestructible pods in an unconventional way to defeat their enemies. Check out what might be the last glimpse of footage before director James Gunn's Marvel Phase Two adventure finally hits theaters later tonight. An action-packed, epic space adventure, Marvel's Guardians of the Galaxy expands the Marvel Cinematic Universe into the cosmos, where brash adventurer Peter Quill finds himself the object of an unrelenting bounty hunt after stealing a mysterious orb coveted by Ronan, a powerful villain with ambitions that threaten the entire universe. To evade the ever-persistent Ronan, Quill is forced into an uneasy truce with a quartet of disparate misfits-Rocket, a gun-toting raccoon, Groot, a tree-like humanoid, the deadly and enigmatic Gamora and the revenge-driven Drax the Destroyer. But when Quill discovers the true power of the orb and the menace it poses to the cosmos, he must do his best to rally his ragtag rivals for a last, desperate stand-with the galaxy's fate in the balance.